For some reason, a fair amount seems to be being made of this this morning, so I thought I’d share – Arsenal midfielder Abou Diaby has freely admitted that he both owns AND WEARS and Spurs shirt (a gift from his chum Younes Kaboul) while pottering round in the privacy of his own home. Some things are probably better just kept to yourself. Fair to say, we know plenty of Arsenal fans that would gladly pay the taxi fare. I despise this useless waste of space c**t. £50000 a week they pay this mug? Not long ago he came out and said it was his dream to play for Barca or Real…..I’ve been waiting 4 yrs for the twot to play for Arsenal. In the meantime, eveytime I see him mince onto the pitch I have nightmares!!! WRONG DIABY!!! DIABY OF REAL MADRID HAS THE SHIRT FROM YOUNIS KABOUL!! When I read a story like this I do what Tony Adams would do; get hammered and smack my car into a wall. I think he’s got a lot of talent and could be a great player but he evidently hasn’t got the brains to really make it. How naive can you be; you’re already not the most popular player and then you come out with this. Happy for him to be sold. So he admits he wears his best mate’s shirt when he’s at home ****ing, taking a **** or whatever else he gets up to. Who cares? Didn’t exactly proclaim he was a spurs sleeper agent. You plastics need to stop insulting your own players, get up from the computer and get lives. Seriously? You’re going to devote a post to one quote from the f*cking Sun of all sources? Did it occur to you that it was taken out of context? 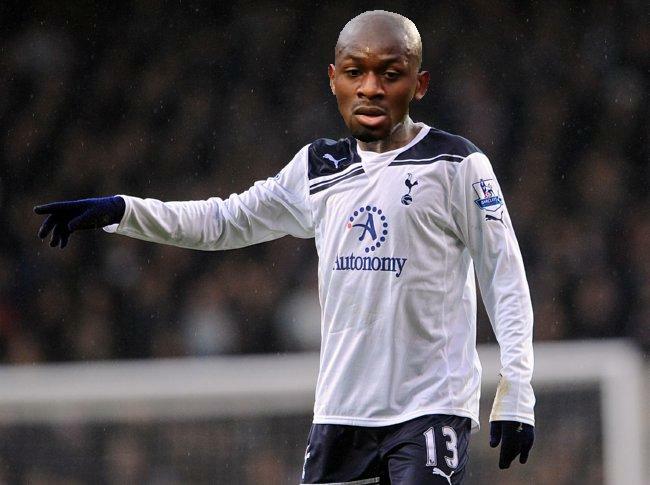 By now, you have no doubt heard about Diaby’s alleged comment’s regarding owning and wearing a Spurs shirt, given to him by his good friend, Younes Kaboul. It caused something of a stir and most articles which are translated by the British press tend to do. Diaby and Kaboul were in the same class at Auxerre’s academy. Inseparable at the youth training ground, they then took the road to London. One headed towards Arsenal and one towards Tottenham, the two sworn enemies, but their friendship never faltered. For the first time in their career midfielder Abou Diaby and defender Younes Kaboul, both aged 25 years old are together in the French team with the same goal, to play at Euro 2012 in Poland and Ukraine. How do you feel about playing together in the French team ? YK : I am proud, we have been waiting for this moment for a little while. AD: We played together in the youth teams, but in the seniors it is a lot better. Do you meet regularly in London ? YK : At least once a week, as we live close by. You are two of the greatest friends yet nevertheless play in London for two clubs that hate each other the most Arsenal and Tottenham. Abou, do you have a Spurs shirt? Do you wear it in the street ? Basically, he does not wear it at all, it is a joke. The interview carries on about Diaby’s injuries and their old club Auxerre. Maybe you should look into finding the whole interview instead of one quote that The Sun twists out of context. Has this fellow ever being loyal to Arsenal? His lack-luster attitude on the pitch is disgusting.Despite not improving on his game, He will continue to be accommodated at Arsenal because Wenger is very comfortable with these type of less costly french players. Lets see how long Harry will tolerate him if he ever goes there.